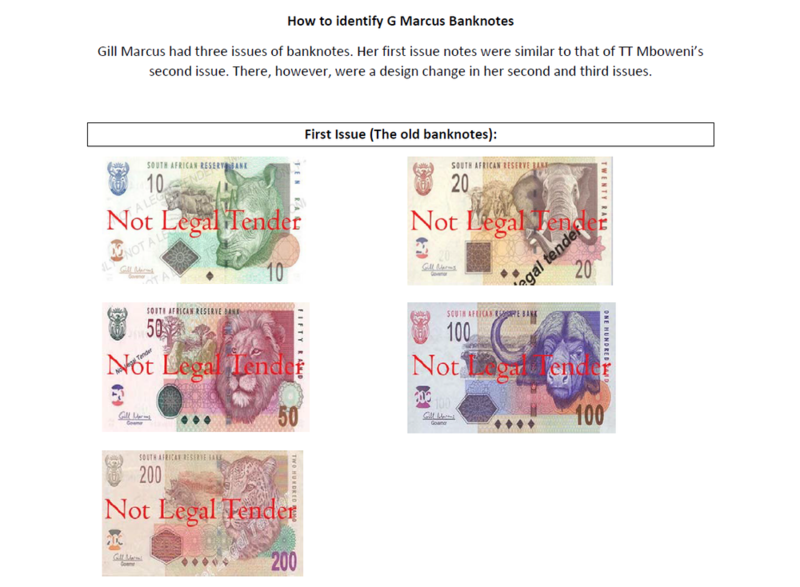 How determine issue of Bank notes of Mboweni and Marcus. Can anyone help? 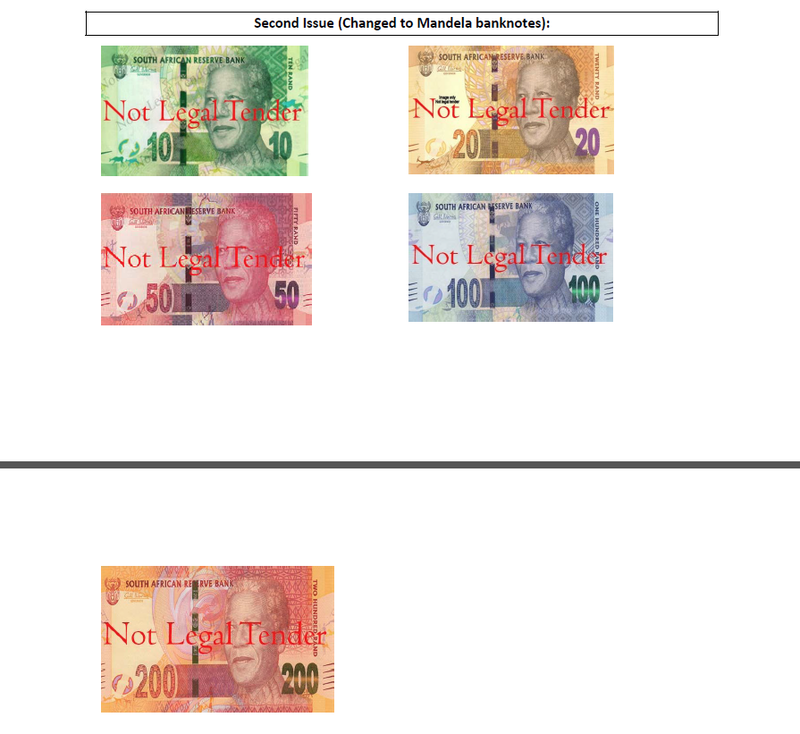 How does one determine what issues are the bank notes of the Governors - Mboweni and Marcus. Their signatures on the notes. Sorry, I just realized what you are asking - according to Dr Heinz Wirz's "Bank Notes of South Africa", the second issue of the Mboweni notes differs from the first issue ... "These new notes now contain the state of the art new security features and comply with the South African constitution respecting all eleven official languages of the country"
Gill Marcus's first issue was exactly the same as the second and last issue of TT Mboweni. Only the signatures and names will differ on the notes. Gill Marcus then moved to her second issue, where she moved away from animals and onto Mandela. On her third issue, the only difference is the Omrom rings that was added to the Mandela note on the left side.